Romance has never been my thing, in life and in literature. I'm more drawn to darker themes surrounding love- jealousy, obsession, vengeance. Throw in a tragedy or two and I'm all over it. So this Valentine's Day, I've compiled a list of my favourite books that centre on the theme of love without being schmaltzy. 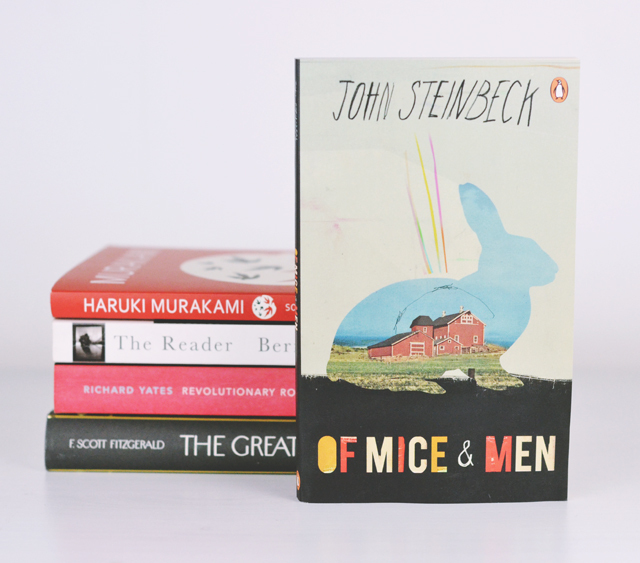 OF MICE AND MEN My favourite book ever. I suppose it's not an obvious choice when it comes to love but the fraternal bond between George and Lenny is so strong. Especially when you consider the turn of events at the end. Everything George does, from when we meet the pair along the Salidas River to the poignant ending, is out of his love for Lenny. REVOLUTIONARY ROAD Revolutionary Road is a very honest look at the marriages of American suburbia in the mid twentieth century. To onlookers, they have the perfect life but in reality, they're wasting their lives keeping up appearances and ignoring their real wishes in life. 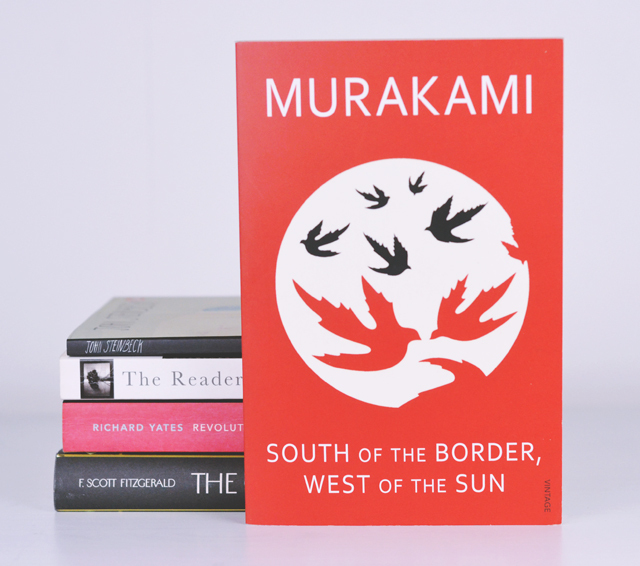 SOUTH OF THE BORDER, WEST OF THE SUN Murakami's writing moves me in so many ways but this is my favourite of his. Following the life of Hajime as he struggles to remain faithful through the monotony of life, it's a refreshingly mundane and anticlimactic tale of love. There's no slow-mo-running-through-the-fields-towards-each-other happy ending. Instead, it's just real life. THE GREAT GATSBY Of course I had to include this tale of The One Who Got Away. Like Revolutionary Road and South of the Border, it has a central theme of allowing time to slip away and trying to escape the past while always being inextricably drawn towards it. Plus there's tragedy aplenty! 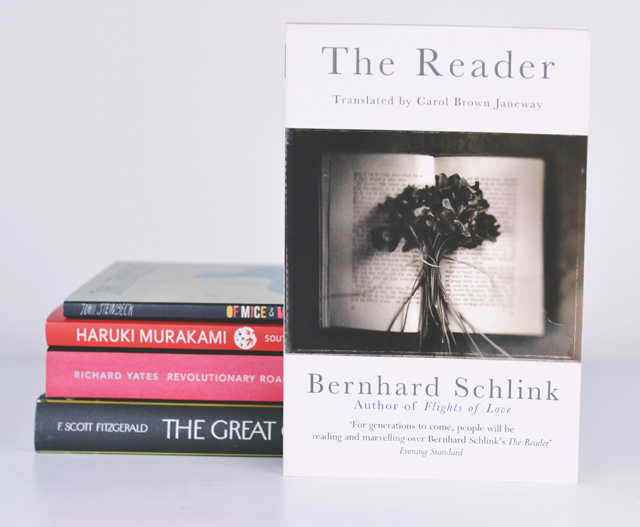 THE READER This German tale is interesting because it deals with the relationship between 15 year old Michael and an older woman, Hanna. As Michael battles his feelings for Hanna while going through puberty, we discover that the relationship is even more disturbing than it seems. If you know of any dark, realistic or downright tragic love stories that I should read, please let me know in the comments. I'm always looking for recommendations! 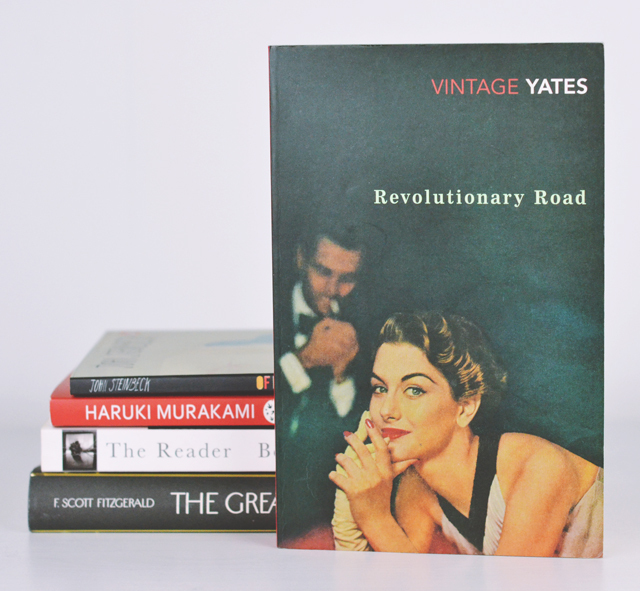 I LOVE Revolutionary Road and The Reader! They're both amazing, and the film adaptations aren't too bad either! I really love Of Mice And Men, I read it at school but it stuck with me a long time and I've read it numerous times since. 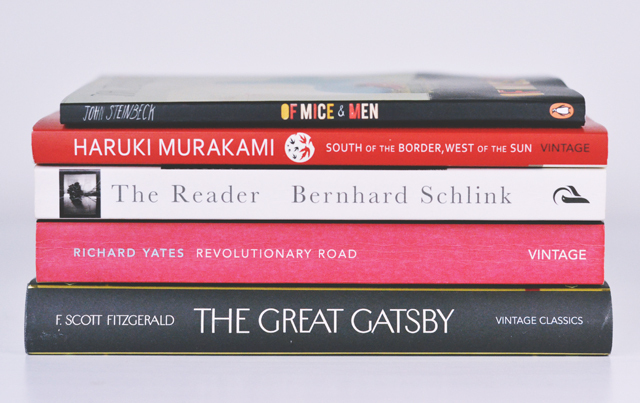 Great selection :) The Reader is a good choice! It's so bluntly narrated, which makes it actually seem more real and the emotions more believable. It's full of conflicting emotions and secrets, and against the backdrop of the horrors of the war I think it's a really powerful read. MY absolute all time favourite book ever ever ever ever. I almost died when they cast Leo. Happiest day ever!! I'm so glad you said this because so many people say "Oh I hate Of Mice and Men because we did it at school". I first encountered it at school and absolutely fell in love! 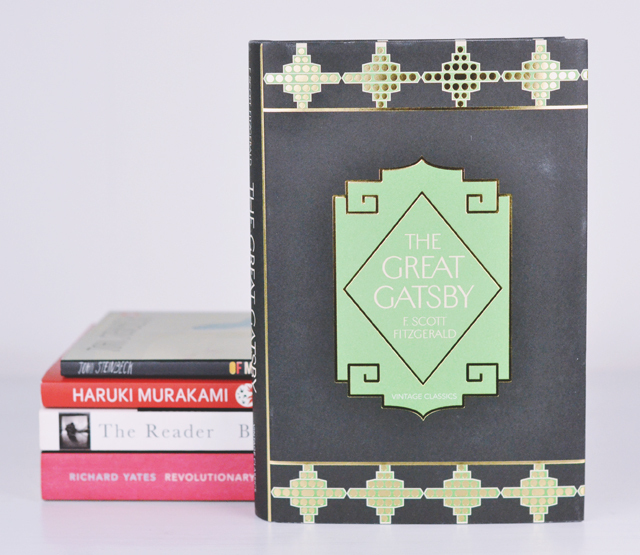 I also did The Great Gatsby at A Level Eng Lit, although I didn't like it then. When I re-read it years later, I loved it.